Responsibility for waste policy should be moved from Defra to the Department for Business, Energy, Innovation and Skills (Beis), according to Suez. The waste giant said it was encouraged by the integration of energy and climate change into the newly formed Beis and would like to see resources follow suit. But it said Defra and the Environment Agency should continue to lead on environmental protection and regulation. Suez made the call in its submission to the Environmental Audit Committee (EAC)’s inquiry into ‘Sustainable Development Goals (SDGs) in the UK’. “Whereas the UK waste management sector has modernised and should be viewed as part of the industrial sector, Government policy has not kept pace,” its submission said. “A case can be made for Defra to take the lead on environmental protection and regulation and Beis to take the lead on resource/waste policy relating to value recovery (given that energy can be recovered from residual waste). It said the European Commission’s business department, DG GROW, taking responsibility for its CE package was “instructive”. Suez also calls for a UK resource management act, integrating raw material management, consumption and secondary resource management under one legislative framework. Another recommendation is for resource efficiency targets to support this legislation. 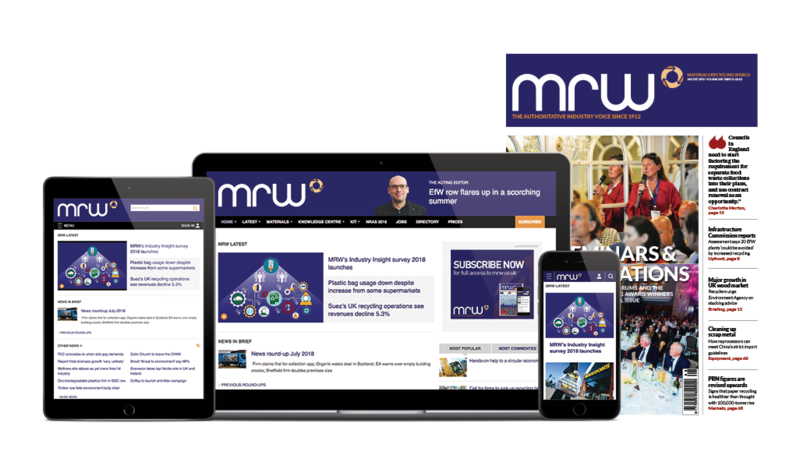 During RWM, the company released a policy report A Resourceful Future – Expanding the UK Economy, carried out by consultancy Eunomia. It included a call for Beis to integrate CE principles into its emerging industrial strategy, but fell short of calling for it to take responsibility for waste from Defra.